Further evidence of muddled and incoherent scheduling by the Radio 2 management. Are the BBC Management trying to push listeners to their Commercial rivals? 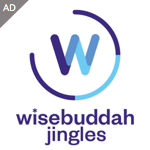 I would hardly call it a push of listeners to their Commercial rivals. It’s not as if Radio 2 are playing Ed Sheeran every 90 minutes and still reviving Will Smith’s “Miami” 5 times a week at least. No but year on year Radio 2 are turning away from what they should be doing which is continuing with their specialist shows to cater for a more minority audience as against cutting them back and generally messing about with their scheduling in favour of chasing ratings, and being PC at whatever cost. I remember when the BBC was a public service broadcaster. Now it seems to be the exact opposite. It may be the last straw for the older end of audience.First they take away the late-night specialist shows,then put a mainstream pop one on-now a soul and disco show just at the time of night when there should be something more relaxing.They used to do classical music and religious stuff on Sunday night which relatives enjoyed,now the jazz/band music is being cut and possibly replaced with R & B or Reggae etc which will not go down well at 9 on a Sunday evening.Yes I know stations have to move with the times but Radio 2 is supposed to be catering for everyone over 35 and they are clearly trying to take on commercial radio with all this sidelining of specialist programmes.8pm is a strange time to put a rock show on a Saturday evening too-suppose they think anything can be shunted into the slot as everybody is watching tv anyway.I know people who have for years been Radio 2 loyal listeners that have had enough and will be moving elsewhere. It’s such a mess now. It rather reminds me of the days of the jarring schedules of David Jacobs and David Hamilton. There should be a consistent sound with clearly defined specialist output. I’ve been a listener to Radio 2 for many years so I have plenty of knowledge of it.As for two hours of jazz-there used to be a lot more than that on Radio 2-you could just as well say why 12 hours of soul and dance music-it may be more popular but many other stations are providing that,Radio 2 shouldn’t be chasing commercial audiences. I’ve given up trying to put forward sensible thoughts about Radio 2 changes on here, it’s like trying to put soot in alphabetical order. Totally agree with you Chris! Because they won’t listen to me, I’ve given up listening to the radio completely now. The sound of silence is much more pleasant. How pompous to believe your thoughts are sensible. Mind you the last time you posted you did apologise for your career so it seems you do speak sense at times. Chris (who he?) Moore’s “sensible thoughts” are based on his decades of experience in the industry when he broadcast to three sheep in the Welsh valleys. Any one suggest a good station I can listen to now that Radio 2 has gone to the dogs? Depends what you like to listen to-there are plenty of stations on the Internet,some with presenters some with non-stop music.Most of the stations I listen to are not from the UK but I’m sure you’d find lots of stations you’d enjoy.It’s a question of what music you particularly like and whether you want commercial free,stations with presenters etc,etc. If it ain’t broke don’t fix it springs to mind. Radio 2 audiences are being pushed away and seeking different stations to listen to which is a great shame. Once again, we have Chris (who he?) Moore being rude and condescending about all the contributors who offer far more intelligent comments than he is ever likely to make. The very good news is that he has “given up”. What a mess. No doubt some muddled political correctness nonsense based decision again. Makes as much sense as the Simon Mayo, Jo Whiley show shambles. Still as long as the programme controller is ticking the right boxes all’s well with the Beeb. I’m off to explore the world of commercial radio. Shame. Simple , BBC saving money. Radio 2 was once a music Chanel. Now instead of informed comments or professional whit between tracks , we have some dead beat member of the general public telling us “they are going home open a jar of pasta sauce and cut their toenails” Rivetting stuff if you rely on A.I. because you are lacking in the naturally gifted sort. However it’s cheap, make huge salaries more affordable. So the 4 hours of specialist programmes/features/documentaries, currently on 9-10pm Monday to Thursday are being cut to 3 hours. Prior to May 2018 there were 6 hours (Monday to Wednesday 10-12). I thought that when it was announced that Jo Whiley was returning to evenings that this would be a good time to gain favour by reintroducing live overnights. With 9-11 specialists (currently 8-10) then 11pm -2am and 2am-5am with maybe Geoff Lloyd and OJ Borg filling these shows (unfortunately Janice and Alex don’t look like returning). Even if Lewis wants Trevor Nelson he could be on 11-2 with OJB 2-5. Rather than all Trevor’s programme being Rhythm Nation maybe just the first hour with midnight to 2 more general music. Still keeping his Saturday evening show. This would have caused less disruption to the documentaries, music features currently 9-10. The Johnnie Walker/Jules Holland strand appears to have just been slotted in somewhere where there was a gap. Is it now expected that people will listen to shows on iplayer (sorry bbcsounds)? In saying that we used to have quality shows on a Saturday evening in the days of Paul Gambaccini and Stuart Maconie. Why not turn Radio Two permanently into what was the pop up station that celebrated Radio One’s fortieth birthday Radio One Vintage. Of course it would be have to have a new name, ie Radio Two Vintage, because Radio One Vintage was very well received. Turn R2 into a national gold station during the day and their specialist shows at night from eight pm to five am. 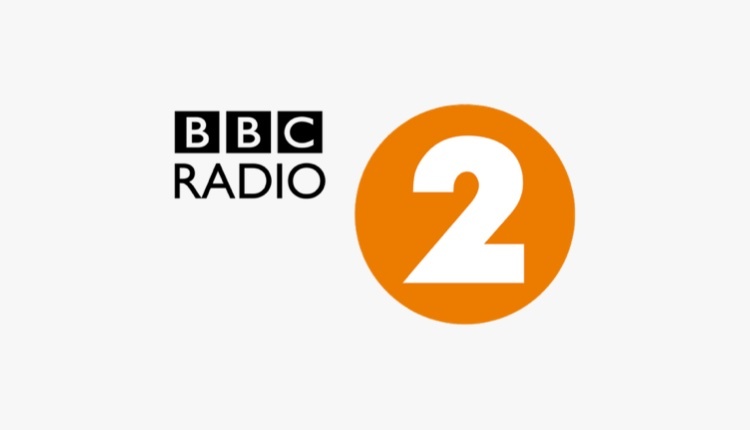 Radio Two seems to have lost it’s way at the moment maybe a relaunch is what is wanted with a whole new schedule that befits Britain’s most listened to station. I’ve lost the will to live!! What next!! Ken Bruce to go?? I’m off to my local station Swansea sound. Shambles . From Tony Blackburn taking over sound of the 60’s and then moving it to a 6am slot it’s been down hill all the way . Breakfast and drive will be bereft of listeners and nights are going to be the same . Think Lewis Carnie is more interested in ‘z’ list celebs these days to fill the slots. No radio, music knowledge or broadcasting needed anymore at Radio2. Janice and Alex (both great communicators) long gone and seems Simon M and Chris E have seen the light also. Real radio broadcasters like Tony B hidden away & not even given any promotion. Get on Big Brother and await the call. Radio 2 is supposed to cater for specialist music enthusiasts especially now that commercial radio largely doesn’t-if not why is the BBC allowed to carry on being more like commercial radio?.In it’s heyday Capital Radio -famous mostly for it’s pop music-put out specialist programmes for something in excess of 30 hours a week in common with many other ILR’s.I’m not suggesting that the commercial stations should do that now but that the BBC should be made to do so otherwise they don’t have enough points of difference to get the funding they currently do.From January Radio 2 will have around 30 hours but around half of that will be Soul,Reggae and Dance stuff,in my eyes this is very uneven,given the country,folk and jazz,blues,vintage music get barely an hour,not to mention the shows recently dropped.It is not good enough!.